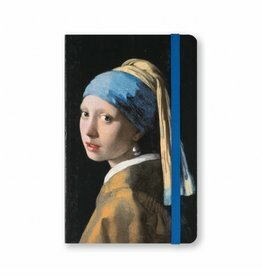 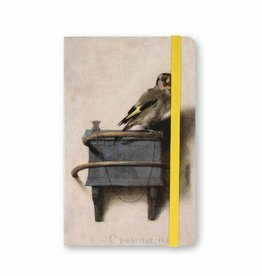 Double-sided lined notebook with elastic in matching colour on A6 size. 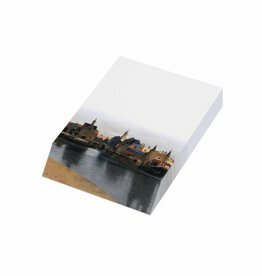 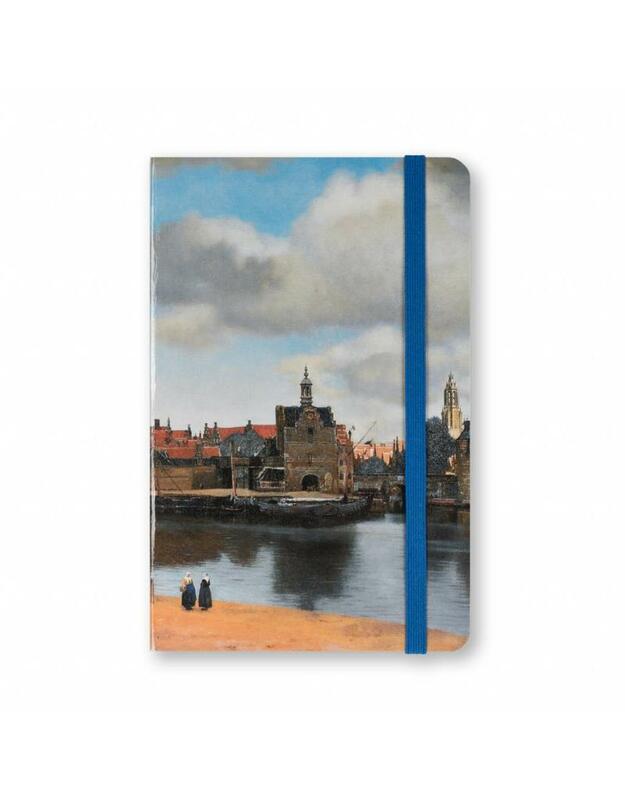 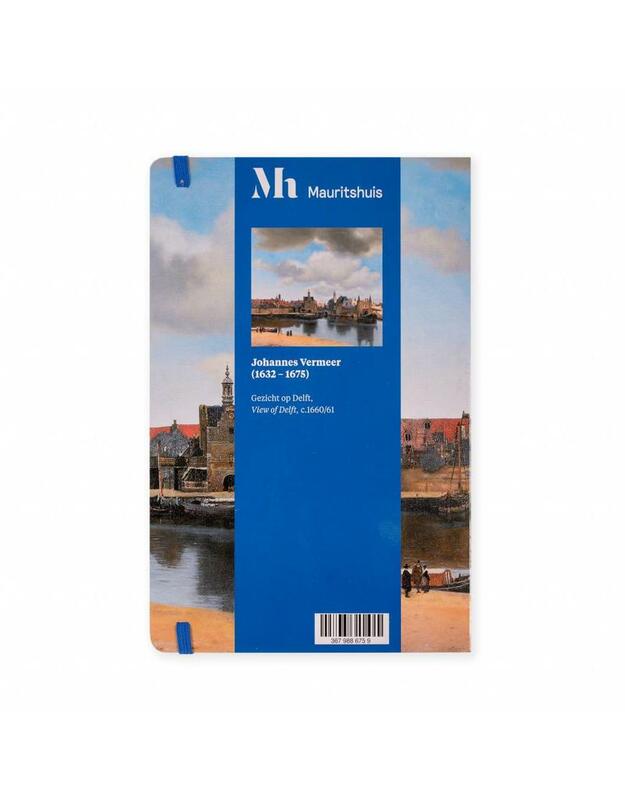 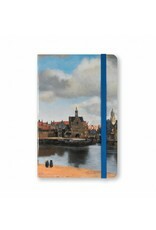 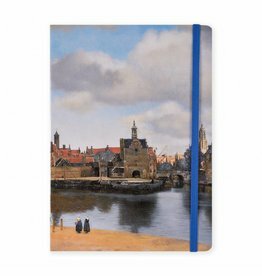 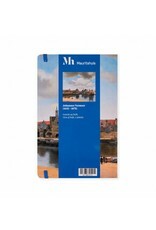 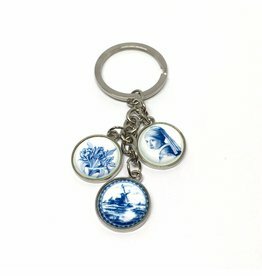 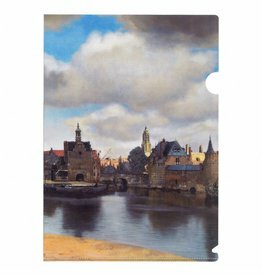 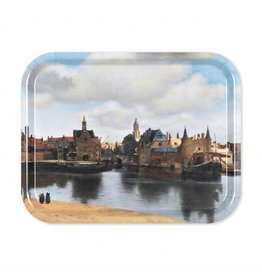 Hard cover with a detail of the painting by Johannes Vermeer, View of Delft. 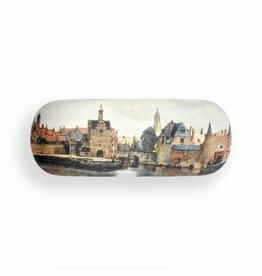 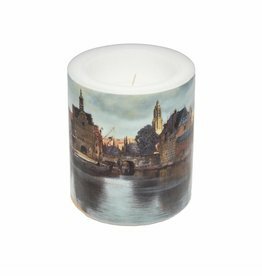 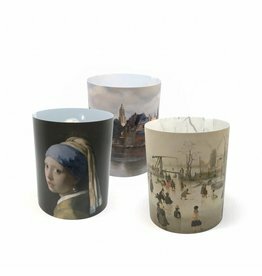 Large candle with an image of Vermeer, View of Delft.